Description：The International Monetary Fund (IMF) on Tuesday revised up the 2019 growth projection for China to 6.3 percent, up 0.1 percentage point from its previous estimation in January, according to the newly released April 2019 World Economic Outlook (WEO). The upward revision reflected the combined impact of recent developments in the China-U.S. trade talks, China's stronger-than-expected expansionary fiscal policy, and a slowing global economy, Changyong Rhee, director of the IMF's Asia and Pacific Department, told Xinhua. "We have to revise our growth forecast due to more fiscal expansion, at the same time, the global economy has started to slow down, that actually has negative impact on that," Rhee said, adding that the IMF made the latest projection taking into account both positive and negative factors. 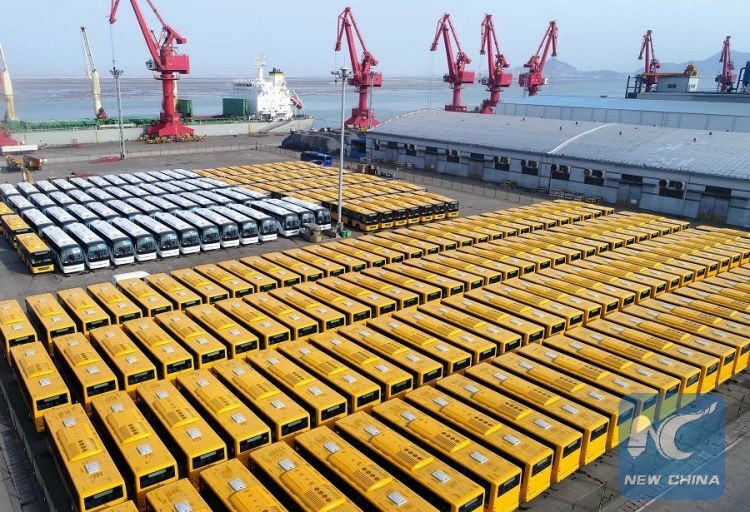 In its latest annual government work report, China set the 2019 gross domestic product (GDP) growth target at 6-6.5 percent. The world's second-largest economy also pledges to continue pursuing high-quality development. The IMF's medium-term forecast sees a gradual slowdown in China "as internal rebalancing toward a private-consumption and services-based economy continues and regulatory tightening slows the accumulation of debt and associated vulnerabilities."